Let’s face it. Most of us are scared of Love, real love that is! Not the sentimental version that sloshes its way around most of our waking hours, but burning love, the real deal. The Love that sees us naked, warts and all and still embraces us with an altogether different kind of acceptance, the very acceptance of Source itself, the One who thought us up in the first place. No, in our more honest moments we are still wary of the Nazarene, believing religion’s spin on His life, death and claimed resurrection. Such an underlying fear is revealed in our day-to-day avoidance of Love, those times that we prefer the security of insecurity to the Presence of Spirit Breath bubbling up within. As for those who don’t give religion a second thought! Well, they’ve clearly had enough of the Jesus of Christianity. They’ve observed the Nazarene’s supposed reflection, the Christian believer, from a safe distance and decided, ‘Thanks but no thanks!’ The person of the Christian Christ terrifies the free running ego. It spells entrapment and a suffocating confinement, a control that they can do without. It’s weird how multitudes quickly proclaim the Nazarene to be a ‘good’ Man before hiding him away in a religious cupboard that they vow to never visit. 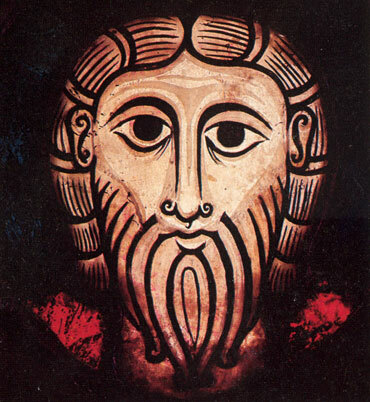 Yet apart from the religious caricature, there is something that scares folk stiff about the Galilean prophet. Maybe, we suspect that He was onto something regarding our inner life, something that asks us to travel through inner angst into a New World, a World of reunion and contentment. ‘But He, asks too much,’ declare our wounded egos, those defenders against further rejection and pain. Yes, this Man certainly rocks our inner and outer worlds. No wonder we run to hide in the Edenic bushes of our misperceived shame. Yet, we run from Love, a Love that has never rejected us nor called us sinners. Hasn’t ego done a great job in keeping us far from Divine Love, shepherding us into the sheep folds of zealous religion, or the hedonistic cities of quick fix pleasure. Time perhaps to revisit the Nazarene, on the neutral hillsides of our weaker moments. One Touch is all it takes. Thanks for dropping by and encouraging me QP. Yes, something is afoot in the affairs of man. The Light is getting lighter and the Darkness darker. Yet, we’ve seen into the future when All shall be Light. That version of Love: the “outer court” version, the religious version, would change if the mystery of “Christ in you, the hope of glory” were revealed… if the eyes of understanding were opened. Do you know how to explain that concept without the christianese? If you can convey that, it might be worth a good conversation. As you know I’m not a great fan of Christianese. Yet I guess that most Christians are. I was writing this for both camps so to speak, Christians and non Christians – all children of God of course. Some days I get reprimanded for using to much Mind, Body, Spirit lingo. I guess that I’m bi-lingual. I write as it bubbles up and today it came out as slightly Christianesey! Sorry. Yes Debra. Once the Divine Presence is experienced within, the genie is out of the lamp. External religion and belief for the sake of belief will never again hold sway over us. To follow the Nazarene is to experience the Spirit of the Nazarene. Time to let tears flow and hearts break open and flow with life, drink the wine of His love and dance the night away. Dylan, I think the people who are the most frightened by Love, the Unconditional Kind, are the people who have only ever known “conditional love.” Far too many christians today profess a belief that reflects that experience. There is no way to earn Unconditional Love. There is no way to deserve Unconditional Love, especially since it is something that is Freely given every moment of every day of a person’s life. There is also, no way to ever lose Unconditional Love.